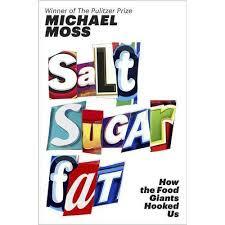 This is an excellent food marketing book with a focus on the 3 bad boys of processed foods–SALT SUGAR FAT. By showing how we came to this sugary-salty-fatty Gomorrah, it’s insightful to learn how it wasn’t inevitable, but the unintended outcome of myopic profit-seeking strategies. For example, in the 1980s Wall Street began moving money from blue chip companies (that included established food businesses) to the tech and financial industries for their quicker returns. This put the pressure on food companies to deliver a similar rate of return. So foods became more convenient, more alluring, and came in bigger portions…damn the resulting fatties…and the $90 billion annually we all have to pay from the health effects of obesity. Food companies were able to get us to consume more by taking advantage of how our brains don’t know what our body needs. Our cravings are not the result of physical needs, but the result of emotional triggers that food companies have become expert in manipulating. This body/mind dissonance is due to quirks in our evolutionary development, where our body is so afraid of starvation it freaks out with hunger signals when it comes across any cues that the body may need food. SUGAR: Sensory-Specific Satiety. “We like foods that have an identifiable strong flavor, but we tire of them quickly.” This is to help drive our body’s need for varied nutrients, whereby the power of one overwhelming flavor can trigger a feeling of fullness for that flavor, and direct it to another. Those spicey garlic pork rinds may be good for you in how they can immediately trip the fullness switch with one mind-boggling bite. However, most big food companies exploit the inverse of this phenomenon, where we don’t feel immediately as full from less flavorful foods. This explains the success of Coke over Pepsi. Pepsi repeatedly wins in taste tests for its distinctive flavor. But Coke maintains its dominance (and insidiousness) because it is forgettable in such a way that the brain continues to want more of it. SALT: We Are Not Born with a Taste for Salt, Nor Is It Irreversible. Although babies are born with a craving for the sweet, this is not true of the salty. A study of 2 groups of babies—one subjected to their parents’ normal salt-heavy diets, another who were on a salt-restricted diet—demonstrated how the first group developed an increasing desire for salt (getting into licking salt piles right off the plate), whereas the second could care less. The more we are exposed to salt, the more we want it. So food companies effectively created a salt craving where none existed…resulting in an epidemic of high-blood pressure and heart disease. However, this salt addiction can be reversed. It was also discovered that those put on a low-salt diet eventually reduced their taste for it. 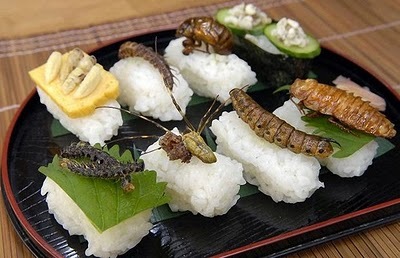 And if we’re talking food, I’m eventually going to talk bugs (I’m a great dinner guest). The industry often defends its use of salty-sugary-fatty-ness as a means to produce tasty but cheap foods, which will help meet inevitable food crisis we’ll have with 9 billion mouths to feed. However, the devastating health consequences of using these ingredients to make processed food palatable make this problematic at best, and kinda evil. Instead, the low cost of processed unhealthy food are thwarting the development of healthier ways of feeding the world.